LOS ANGELES (Reuters) – Kevin Durant poured in a team-high 37 points and Klay Thompson chipped in 28 as the Golden State Warriors claimed the opener of the Western Conference finals and snatched home-court advantage with a frenetic 119-106 win over the Houston Rockets on Monday at Toyota Center. While Durant served as a midrange gunner, recording three rebounds and one assist, Thompson scorched Houston from the perimeter, hitting 6 of 15 3-point attempts. That tandem worked in concert whenever the Rockets mustered a rally, and offset relatively quiet efforts from Stephen Curry (18 points, eight assists) and Draymond Green (five points, nine rebounds, nine assists). Green added two blocks and two steals to anchor the Golden State defense. Durant and Thompson combined for 11 points while Golden State stretched a three-point lead to 76-70 midway through the third quarter. 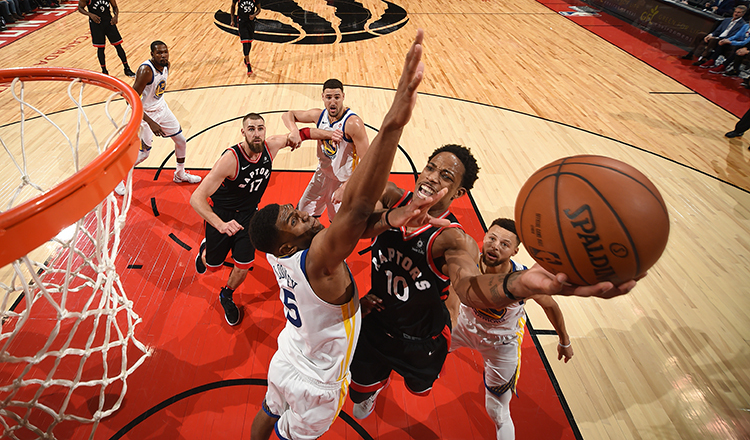 Durant then scored the final six points of the third before Thompson tallied the first seven of the fourth to provide the Warriors a working margin. James Harden paced the Rockets with 41 points and seven assists while Chris Paul chipped in 23 points and 11 rebounds. However, excluding Eric Gordon, who scored 15 points off the bench, the Rockets received precious little from their role players. And with Golden State featuring its usual brand of ferocious half-court defense, the Rockets didn’t have nearly enough firepower. 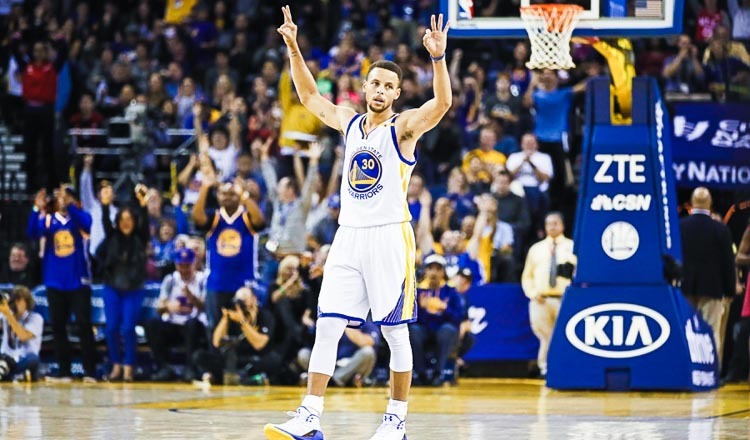 The Warriors shot 52.5 percent overall and outpaced the Rockets 18-3 in transition. 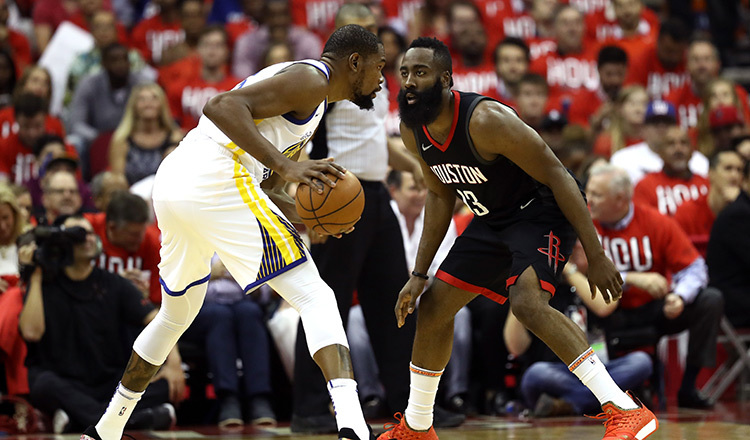 Houston will host Game 2 on tonight at Toyota Center before the series shifts to Oakland, Calif.
Harden and Durant were incendiary from the start, combining for 25 points on 10-for-16 shooting in the first quarter. Golden State needed to survive the early emotional salvo from the Rockets, with Houston dashing to a 12-4 lead behind eight points from Harden. The Rockets stretched the lead to 21-15 on a Clint Capela dunk after the Warriors were caught scrambling defensively. Golden State began to work its way back behind Durant, whose 3-pointer late in the first quarter cut the deficit to 25-22. 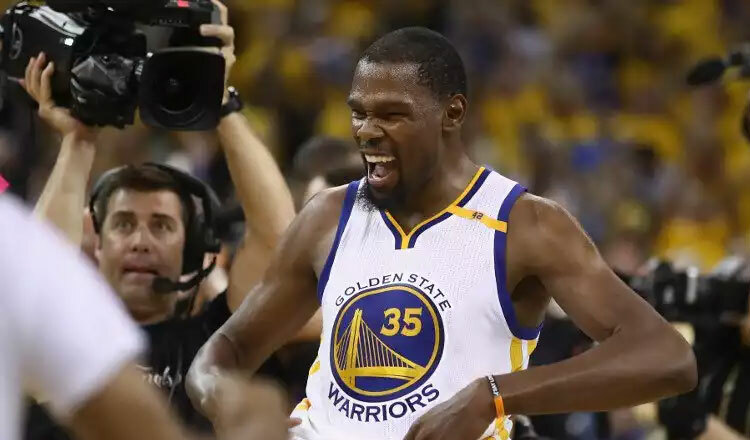 Durant converted consecutive baskets midway through the second quarter to push Golden State to a lead. The Rockets responded with a 7-0 spurt, but the Warriors closed the half with a Nick Young 3-pointer for a 56-56 deadlock. The Rockets struggled to maintain any offensive rhythm, finishing with 16 turnovers to undermine their best efforts. Golden State gave the ball away nine times.​Houston shot 45.9 percent from the floor. Each team hit 13 3-pointers.